The homepage of the Journal of the Adelaide Botanic Gardens has moved and is now hosted by Enviro Data SA, the South Australian Government’s gateway to data and information relating to the science and monitoring of South Australia’s environment and natural resources. The new Journal pages are easier to use and have improved search functions. All volumes and issues of the Journal from Vol. 1 (1976) are online, with articles and papers available in PDF format. 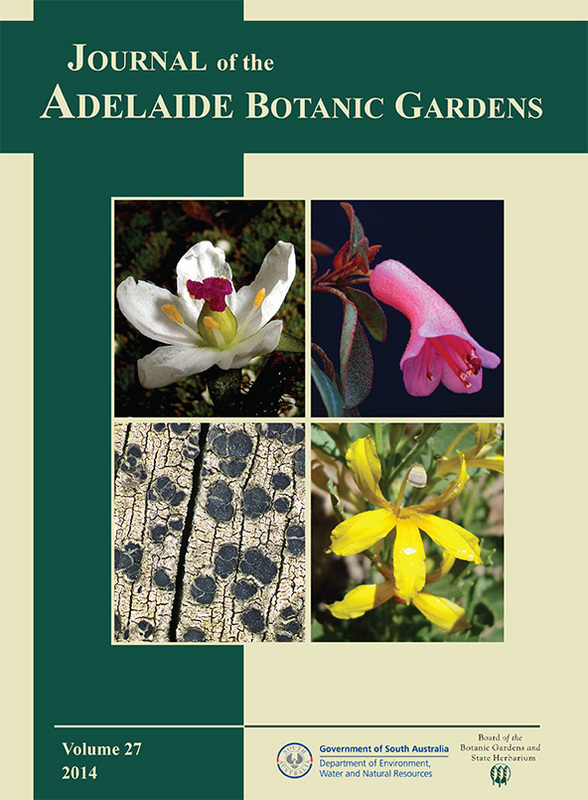 The Journal of the Adelaide Botanic Gardens is an open-access, peer-reviewed journal published by the State Herbarium of South Australia on behalf of the Board of the Botanic Gardens and State Herbarium (Adelaide, South Australia). The Journal is available online at flora.sa.gov.au/jabg and through JSTOR. Papers are published electronically as soon as they are reviewed, edited and type-set. A hardcopy volume is printed at the end of the calendar year, collating all articles published during this time. Printed volumes are distributed to botanical libraries around the world and are also available for purchase. Focus of the journal is on taxa from the Australasian region, but manuscripts from other regions of the world may be considered. Please contact the Editor, Jürgen Kellermann, for more information. This entry was posted in News, Publications on 1 September, 2015 by Jürgen.